Every author needs help marketing their products. Have you considered blogging, speaking or podcasting to promote your books? I do all three and find there is STILL a lot to learn! I am a presenter at an online conference about making income from blogging, speaking and podcasting. The 2018 Homeschool Moms Conference starts June 4 and ends June 10, 2018 but you can watch the videos at any time in the future! That’s a nice feature. Here’s a full list of the sessions with descriptions. Early bird pricing: Work at Home/Blogging Track $15. So affordable! That’s less than $.50 per session! Early bird registration saves you $5 and ends on 6/4/18 at 7:59am EST. I’ve been blogging for over 10 years and I plan on watching some of the video sessions. There is always more to learn! 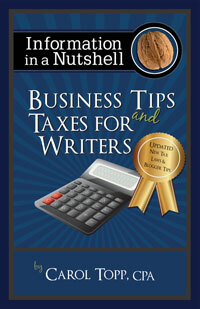 Is an online publishing course tax deductible?